Wallet for Men is easy to buy, no need a lot of thought because they likes the simple thing and minimalist style. Do you agree with this? To carrying any kind of wallet is to keep it as slim and efficient as possible, more thinner and simple your wallets it will look more elegant. Wherever you go you will always put your best wallet on your pocket, what type of wallet you choose is dependent on your lifestyle and it also describe your personality. 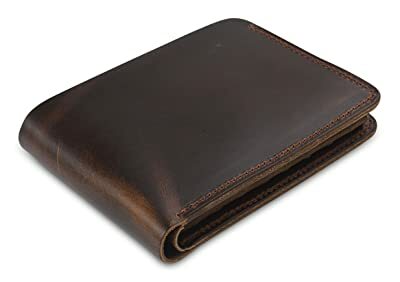 a very clean nice leather wallet is definitely a sign of how well to do a man is and how he respects and values money whereas men with bulky or even torn wallets and leather scraping off it shows how casual and carefree they are about money and all things he carries. It is not the only one factors but definitely an important one to show your personality. 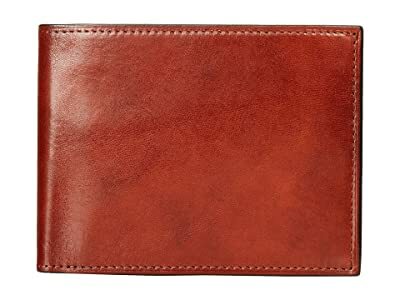 Best Wallet for Men is this RFID Wallet ? Feel secure knowing that wherever you are in the world, your personal information cannot be compromised by electronic pick pocketing thieves. It’s a simple and effective way to easily protect yourself against the growing risk of identity theft. 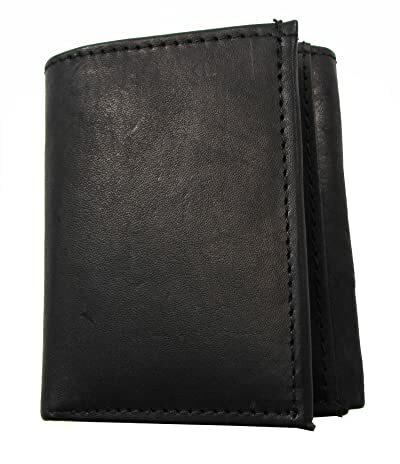 A bi-fold wallet is simply kind of wallets with rectangular shape of wallet and folds in half. It usually features one long open pocket for currency and several slots either vertical or horizontal for credit cards, ID cards and receipts. Some styles even have coin purses attached. in my review, This type of wallets is perfectly match with professional and businessman. It describe the best Simplicity , luxury and elegant wallets. A Trifold wallet is kind of wallets with rectangular shape of wallet and features two flaps that fold to the center, each section (two flaps and the center) making up 1/3 of the wallet’s length. It has same function like the bi-fold style, the trifold wallets features one long open pocket for currency and several slots for credit cards, and ID cards. Popularly are made by leather, vegan fabrics or canvas. But, a trifold wallets look more bulkier and heavier than bifolds because they offer more card and cash capacity. 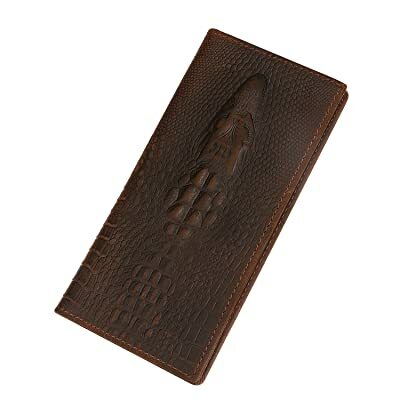 A Coat wallet sometimes called Men long wallet or jacket wallet. This is the good kind of neat and clean, they like all well-organized sometimes people call it check book wallet. 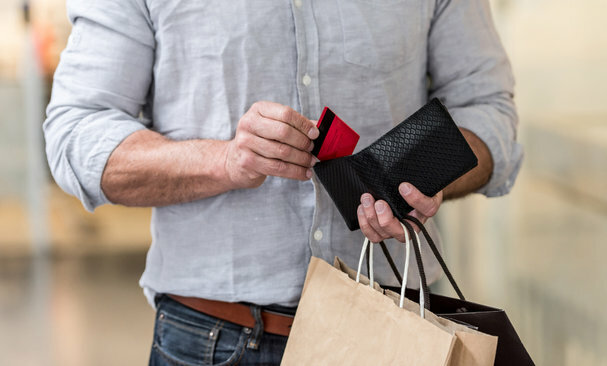 It is not like bi-fold or trifold Wallet that give more simplicity and easy to carry, this types of wallet need more bigger purse to carry with, they will put it in the jacket or inside the Bag. Now after you know what category of wallet you want, then you can decide which is the best buy wallets you will purchase. To make it more easier for you, i will help you to decide. i give you recommend for 3 Top Best Wallet for Men by each Category, you can choose from my recommendation. But, don’t worry if there is no appropriate with this 3 best buy wallets on my recommendation, I will give you more awesome items for each product category. Great quality material ” Old Leather ” This leather is a BOSCA original. The leather is hand stained with vegetable dyes on the finest French cowhide. Old Leather’s shine comes from polishing natural elements in the leather, not from an artificial top coat. this kind of leather is easy to care, durable quality, looks old and vintage but it makes it design seems luxurious and elegant this styles is the most favored man. –> 2 deep well pockets for currency, 8 credit card slots. 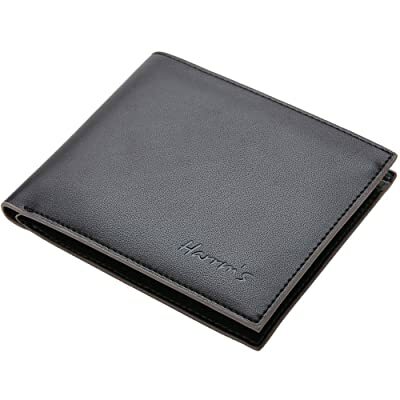 Harrm’s Bifold wallet using the best material design, they use 100% imported Italian Cowhide leather. Perfect Front Pocket wallet to carry some money ID and a few cards, it slim and minimalist, Top quality and design USA, Tough stitching. It’s a beautifully crafted wallet that will only get better with age. This Hand Made Wallets is also the best seller in USA, people like the design, material, and affordable price. 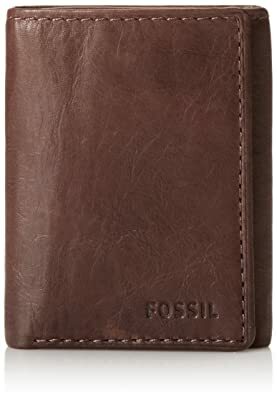 –> Double bill compartment, four credit card slots, removable pass, and leather-framed ID window. Originally design by italian designer for this best by bifold wallets. the product material is 100% cowhide leather , entirely handmade. You will find BEST craftsmanship on each stitching and cutting. Perfect hand feeling and deeply impressed enjoy the unique design. simple and clean design show it’s natural styles in this wallets. –> Extra Capacity: 8 × credit card slots, 2 × Money Pockets,2 × ID window & Photo Frame. One of the Best Seller and Unique Trifold Wallet, it has 1 Zippered Coin Pouch and 2 single quarter-size coin holders. usually carry on the front pocket. Professional workmanship and outstanding design with a good durable quality of black cow leather 100% made in India. 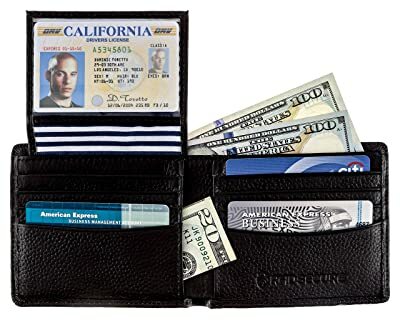 This wallet features a abundant twelve credit card slots, three side receipt slots, one outside facing ID window, two dollar bill holders, two single quarter-size coin holders, and one zippered coin pouch, all just in one pocket. 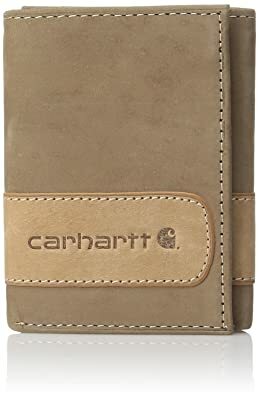 This trifold wallets is designed by Crahartt , made by great durable material heavy weight leather with a unique dry oil and waxy finish. Six credit card pockets. Two side pockets. ID window. Billfold with hidden spare key compartment. Contrast stitching. Blue edge pocket detail. labeling with Carhartt logo heat stamped on front. it’s all in one pocket, for you who do not want complex but more like simple way to carry on. 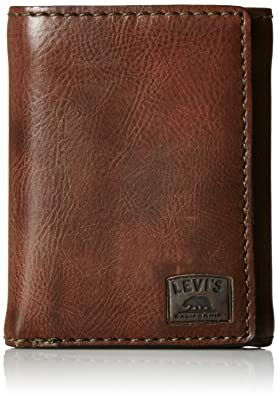 Men’s trifold wallet with stitch detail and levi’s logo, it is not made by Leather, but it is one of the best trifold wallet you must see. strong branded Levi’s make it strong demand to buy. it designed well made by other fabric material, but it gives you an efficient and simple enough to be carried in the front pocket and also does not look bulky and obtrusive when placed in front of the pants. Kattee Long Wallet is one of the best buy for long wallets, the material are Imported with Top Layer Crazy-Horse Genuine Cow Leather 100%. very nice design with logo like a dragon head embossed in front. It present the style of retro and wildness. 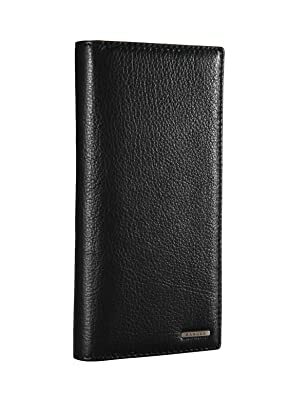 with all of this characteristic this style is elegant , vintage and luxury ,best wallets for men. 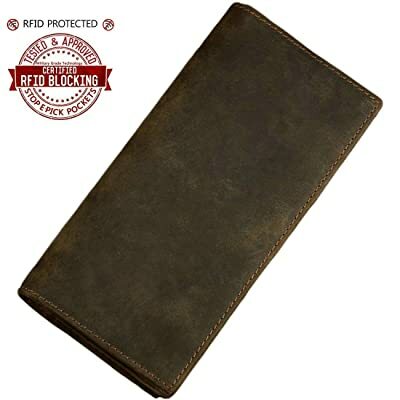 Banuce Long Bifold Wallet is a 100% cowhides leather design, but came with affordable price. it has many features like commonly Long Wallet with 11 Card Slots, 1 Zipper Coin Pocket very good price with good quality design and material.